If you are reading this page right now, you are probably at least interested in selling your home immediately for cash. If so, you have come to the right place. At your request, Fast Home Help can make an all-cash offer for your home with no strings attached. At no point will you be pressured to accept our offer, and if selling your home to us is not your best option, we will tell you so. Of course, we want you to feel comfortable with whatever decisions you make, including the decision to contact Fast Home Help. When it comes to making the best choices regarding your home – for you, for your family, and for your community – knowledge truly is power. That’s why our goal, above all else, is to educate you about your rights and options as a homeowner. 1. When we say “Fast” Home Help, we mean it! If you want the headaches, the stress, and the sleepless nights just to stop, we can help to make that happen. We aren’t a bank, and we don’t work with banks. We can close the transaction and get money into your account within ten days. If you need the money sooner or need to remain in your home for a period past the sale, we may be able to accommodate you. When you work with Fast Home Help, you will always come first. 2. We don’t care what condition your home is in – seriously. We buy homes “as-is.” You don’t have to worry about making costly repairs, addressing issues such as mold or water damage, or any sort of cleaning, painting, and maintenance. Is your home missing walls? Has its roof collapsed? Is it sliding down a hill? That’s all right. After the transaction closes, you can simply walk away from your home and leave the repairs and cleaning to us. 3. We will make the process easy for you. You don’t want to deal with tons of paperwork, real estate commissions, closing costs, county and city transfer taxes, escrow and title fees, and compliance issues? We don’t blame you! 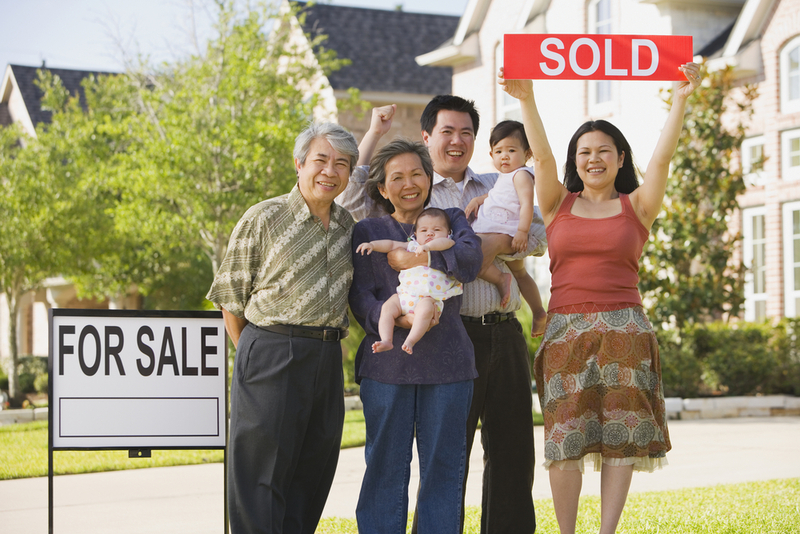 When you sell your home to Fast Home Help, you will be dealing with us and only us. And we will take all of the hassle, inconvenience, and bureaucratic red tape out of the process for you – so you can take it easy. 4. You’ll have a sure sale. You can look forward to a safe, fast sale – in writing. You won’t have to worry about real estate agents, long-term listing contracts, lost deals, or last-minute closing “surprises.” The transaction will be fast, pleasant, and problem-free. You’ll have money in your account as well as something even more valuable: peace of mind. 5. We’ll take the stress out of selling your home. Selling a home through traditional channels is difficult enough without the added stress of having to deal with hard-nosed inspectors and appraisers. When you sell your home to us, you won’t have to worry about unpleasant arguments and confrontations, city code violations, termite reports, and other sources of stress. We’ll handle it all for you. 6. You’ll be able to maintain your privacy. There is nothing more annoying than sitting down to dinner only to have strangers barge into your home and rummage through your personal belongings. When you work with Fast Home Help, you won’t have to spend your weekends hosting open houses or cringing as people you don’t know browse through your drawers and closets. You’ll be able to maintain complete privacy. 7. You won’t have to deal with banks. When you eliminate banks from any transaction, you are certain to save both time and money. Banks can cause frustrating delays and create new obstacles without helping in any way to facilitate the sale of your home. Because we do not have to depend on banks to fund our transactions, you will enjoy a fast, sure closing. Remember, you are under no obligation to sell your home to us, and our team will never pressure you into making any decision. If you prefer not to accept our cash offer, we will absolutely respect your choice. At every stage of your dealings with us, we will act with honesty, directness, integrity, and discretion. If you would like to learn more about how we can help you through the challenges you’re currently facing, please contact Fast Home Help today. My father moved out of state and asked me to coordinate the sale of our family home. I spoke with numerous buyers and quickly became frustrated with folks who'd make promises only to be disappointed when they wouldn't follow through or perform…many didn't even return phone calls. I called Ron and to my amazement he had an all cash, quick close offer on my desk in 24 hours. He bought our property as is, so we didn't have to paint, repair, clean, or anything. It was a done deal and he gave me great peace of mind with the way he handled all the details. - Mitch L.